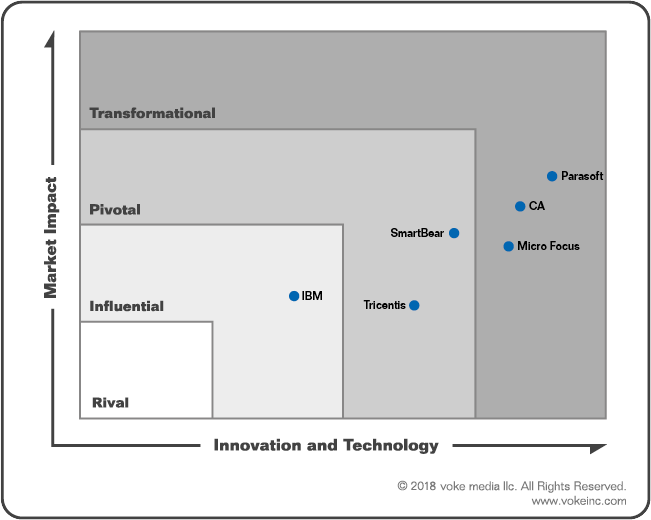 voke Research selected Parasoft as the leading innovator for service virtualization solutions, citing its robust and scalable offering, and its innovative and user-centric approach to the technology. Parasoft received the highest score among all vendors in the Innovation and Technology and Market Impact categories. Service virtualization is a powerful, proven, and collaborative technology that enables software engineering teams to more accurately model the real-life behavior of software prior to production. By removing the constraints and wait time for assets to be complete and available, service virtualization solutions deliver on the promise of better business outcomes.